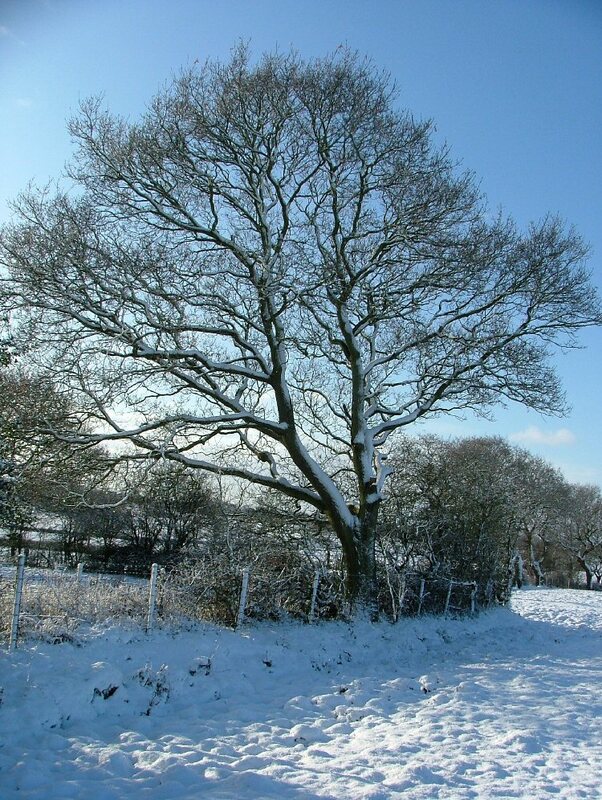 We are currently having some of the coldest weather known in the UK during November/December with hard frosts (as above) and lots of minus temperatures, but no snow unlike most of the rest of the UK. 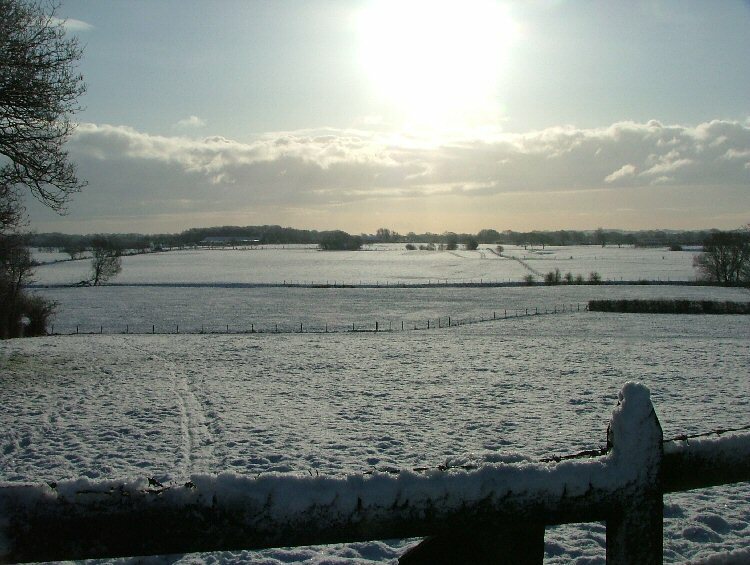 Even though we have abnormally cold temperatures its not as cold as the Royal Welsh Winter Fair getting down to minus 21 degrees last week! Thank god for our warm B&B but as always a lovely show and a lovely couple of days away before settling down for the long winter. Sorry for the lack of updates the last couple of months but with the wet weather and no shows theres been nothing to report. 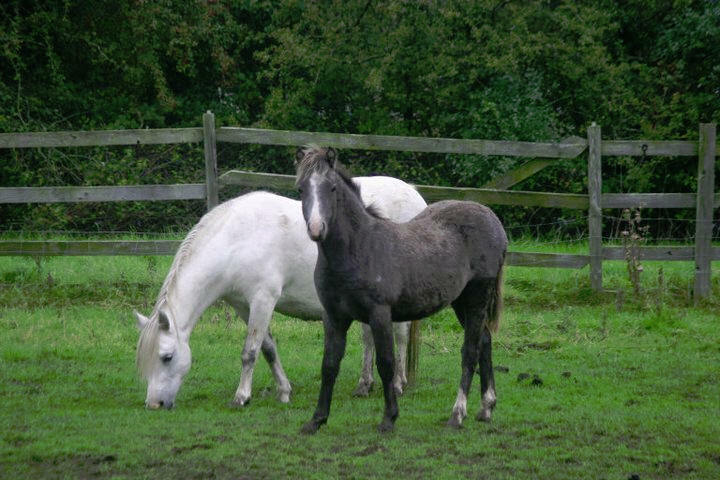 The foals of 2010 are weaned and doing well and we are looking forward to the 2011 show season with hopefully some new faces with a new show team. 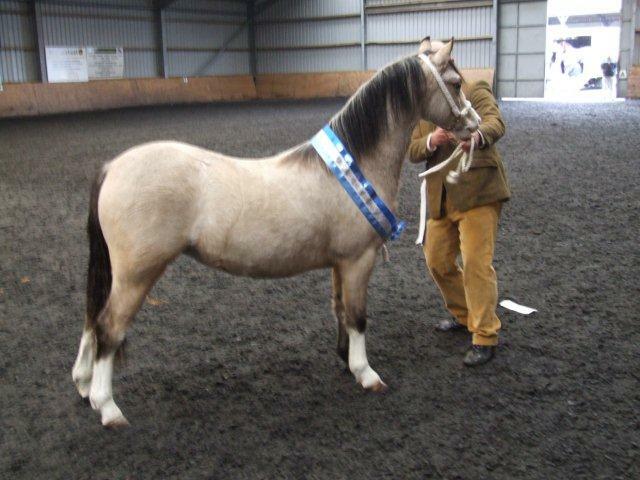 I eventually gave in aswell and stepped into the show ring in a judging capacity and have to say although it was something which had never appealed to me I thoroughly enjoyed myself and was very pleased to have some truly lovely ponies come under me. Fate has a funny way of dealing her hand at times but after the distress of losing Lacy Ruth and her filly foal an email to Brightwells to ask if they could help locate Broughton Ruby (Betws Dafydd x Lacy Ruth) who went through Fayre Oaks last year and has been consistently under my nose via various friends since a yearling and with huge thanks to Catrin Bigley the Lewis Family from Llandrindod Wells contacted us and after some negotiation Broughton Ruby and her lovely filly foal by RWAS winner Harringworth Millionaire have joined us here at Runshaw! Huge huge thanks to the Lewis family and Catrin for making this possible! 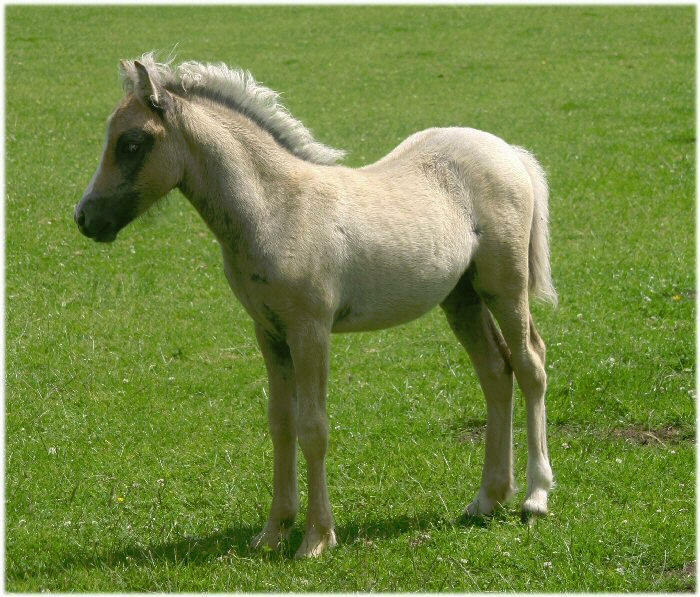 Its with a huge heavy heart and lots of tears to say that we very sadly found the beautiful filly foal Runshaw Rowena dead in the field yesterday morning. She was such a poppet with such an amazing people friendly character and makings of a superb mare but most importantly a lovely 'person' who my Mum adored. She is absolutely distraught as Rowena was her baby, her pride and joy and the last foal from Lacy Ruth as her age ( 21yrs old ) and past homes has taken their toll on her and we'd made the decision at the beginning of the year to have her pts at weaning and which sadly has happened today so she is with her beloved filly. We are all heart broke and in such shock but i feel so sorry for my Mum who is inconsolable and just goes to show what a special filly she was for the effect she has had on everyone who met her in her short 5 months. Life is so so unfair at times. RIP Rowena and Ruth, hope you are happy up there together in heaven. We also made the huge decision aswell to have Penwisg Sior put to sleep as he too has shown his age ( 20yrs old)over the last 12 months on and off and were concerned about his quality of life for the forthcoming winter as he struggled at times last year so with a very heavy heart we have have said our good byes to him too. 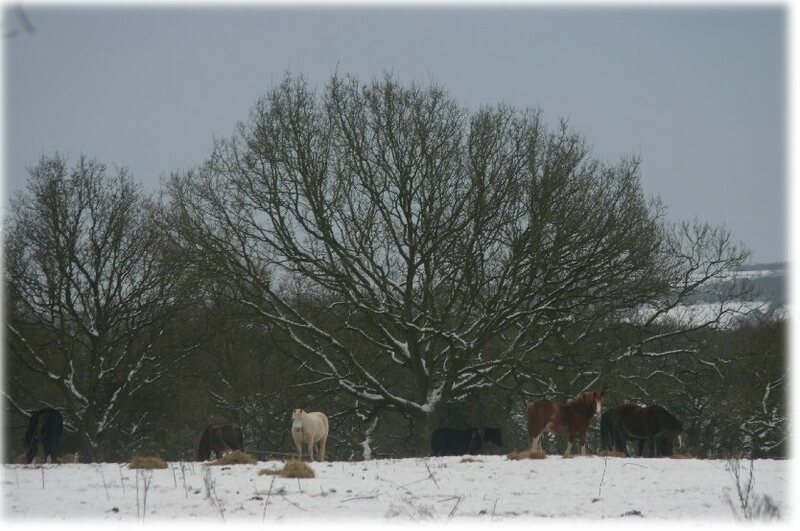 There are many highs and lows with pony owning and its days like these last 2 which are the testing ones but sadly as custodians of these beautiful beautiful animals they are decisions we have to make to ensure the ponies quality of life which is the most important factor. 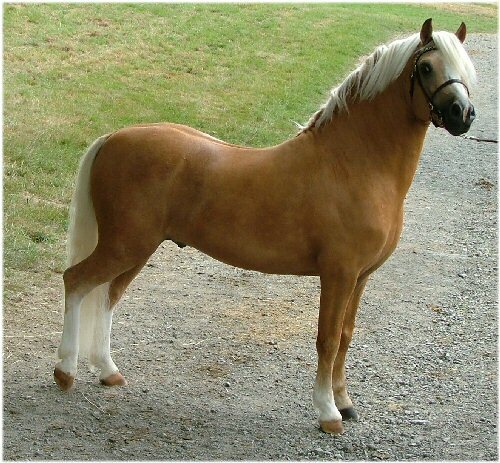 I'll lend you for a little while my grandest foal, HE said. for you to love while she's alive and mourn when she is dead. but will you, till I take her back, take care of her for me? you'll have treasured memories as solace for your grief. I've looked the wide world over In my search for teachers true. And from the throngs that crowd life's lanes, with trust, I've chosen you. nor hate me when I come here to take her back again? you'll brave the bitter grief that comes, and someday, understand. He's slowly getting there and well worth the wait in our opinion. 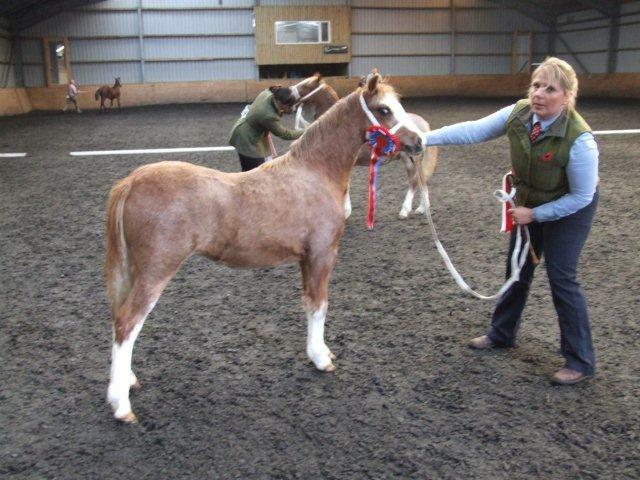 Considering his pure Coed Coch breeding very much a 'baby' but we have high hopes for this young stallion and are happily watching him slowly transform into a swan! 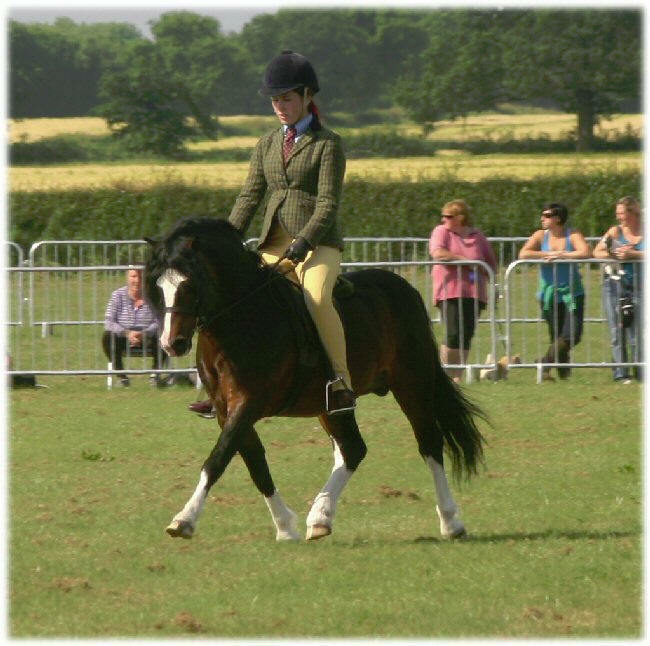 Although Runshaw Rhyfeddod had qualified for the Brynseion Ridden Championships he adores the jumps so he wasn't entered into the final but actually went for the Open 122cm WHP Class and came a very creditable 3rd and then went into the NFU Mutual Open WHP Championship and came 2nd, well done Katie and Oliver!! 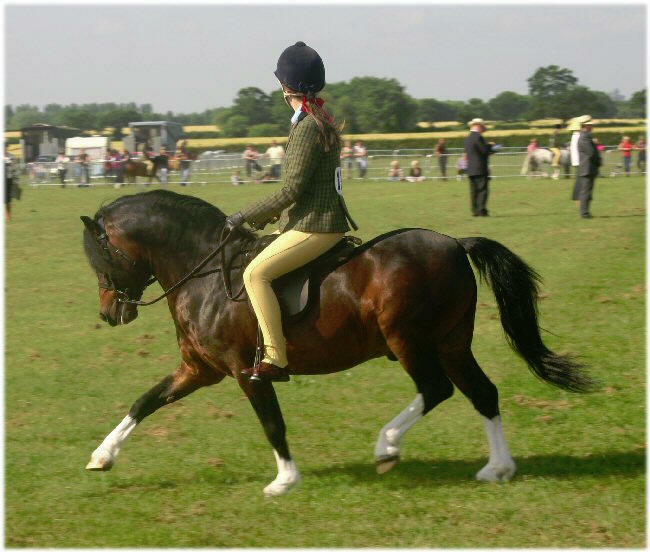 We had a lovely day out watching at Cheshire County Show. 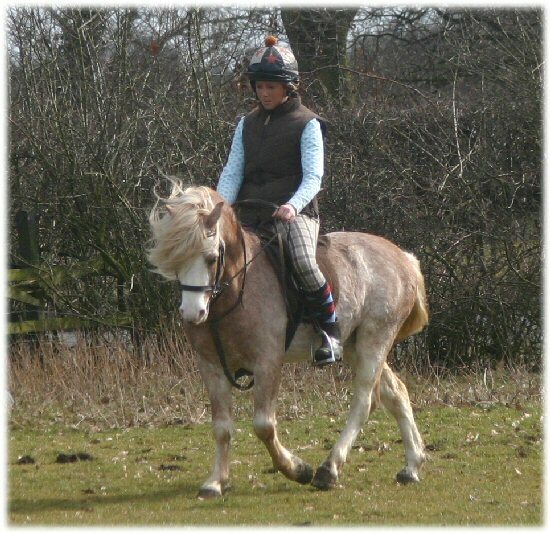 Early start but some beautiful weather and some lovely ponies to see both in hand and under saddle. The HOYS ridden ring saw 2 of 'our' Boys competing! 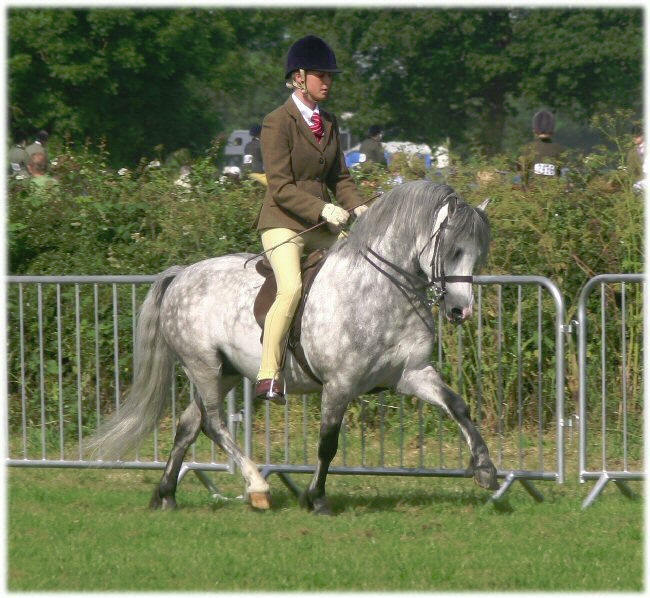 Runshaw Rhyfeddod was a star and looked superb and although found the big ring and bustling show ground very exciting Katie did a superb job and its much needed 'mileage' for him and we were over the moon! 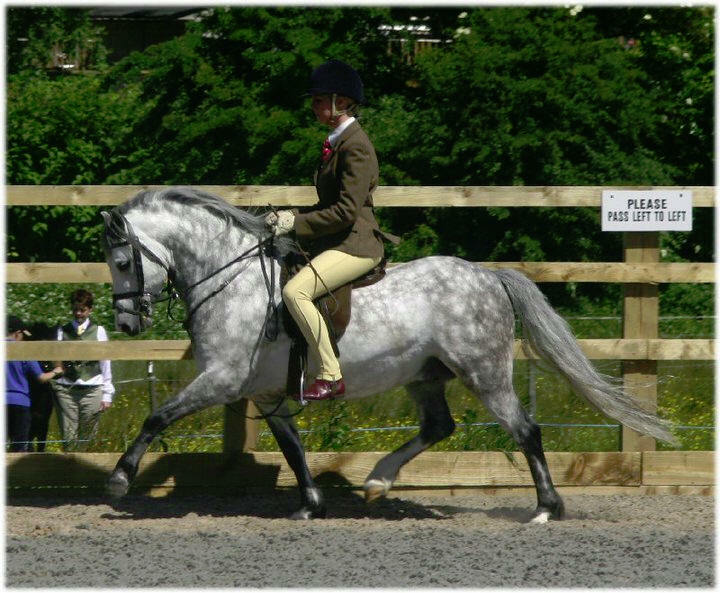 Runshaw Hafog was also competing in the same class and looked and went fabulous for his equally talented rider Laura Mundy! 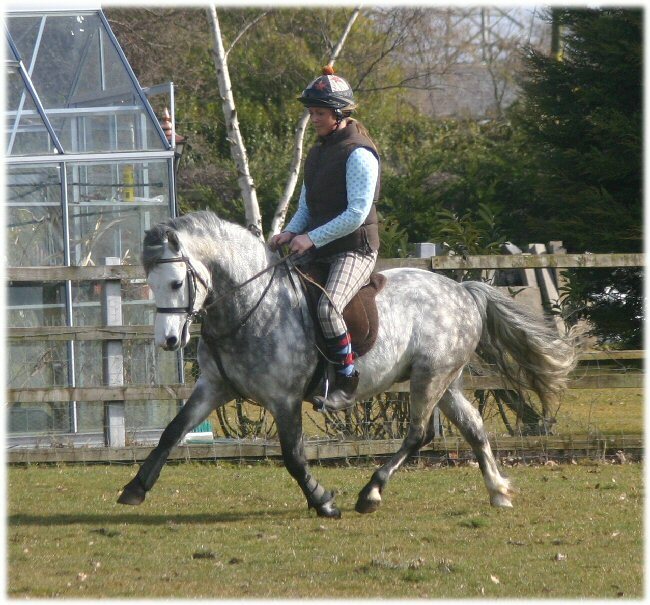 This stallion is maturing into an extremely beautiful pony and seems to adore the job he is now doing (which makes me feel better about selling him as i have had many regrets!) but to see him thriving and thoroughly enjoying his work makes me a very proud breeder and also very proud of the great job both riders are doing. 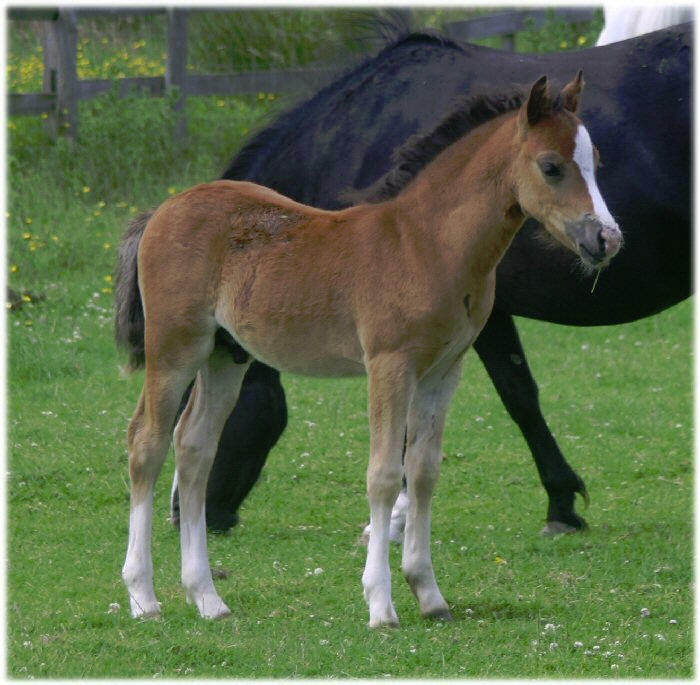 Its with great sadness that i have to post this update but it was obviously not meant to be and after his dramatic entrance to the world and a sudden illness we sadly lost Standwell Heidies lovely colt foal at 13 days old after a sudden and unknown illness. 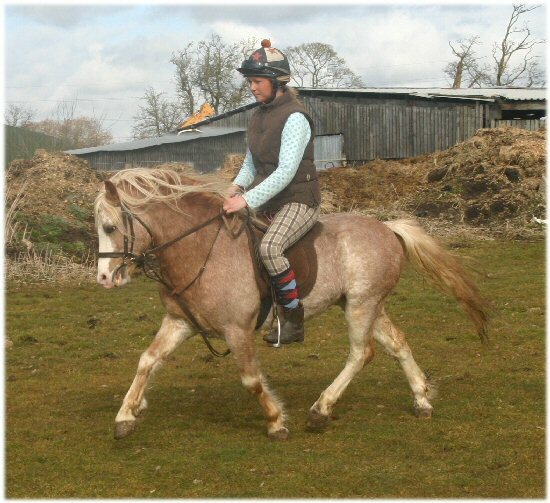 Thankfully Heidie is now fine and back out with her friends, i often think they really know. 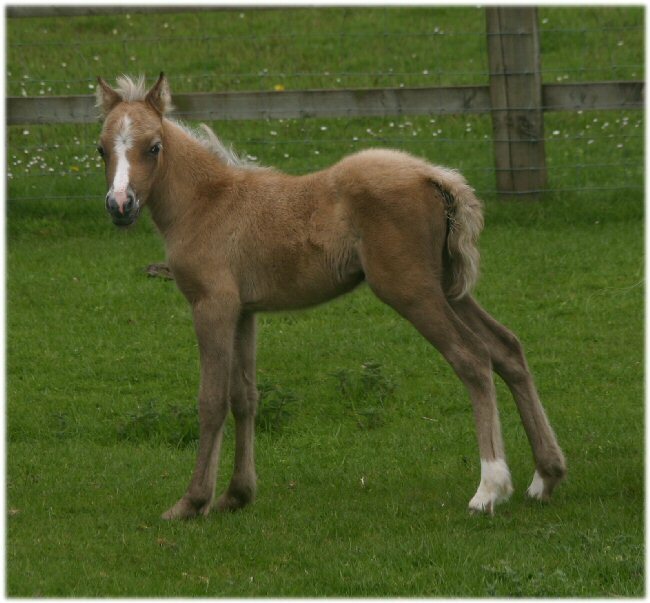 Our other foals are thriving and we are extremely pleased with all of them. The customary chestnut colt with 4 whites and a blaze, full brother to Runshaw Heulwen has arrived and he intends to stay!! 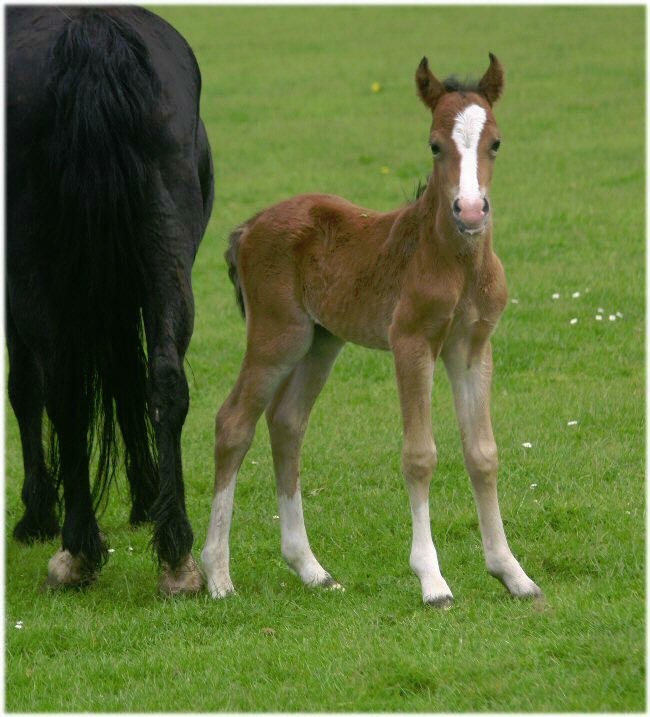 Standwell Heidie our pride and joy finally foaled in the early hours of 2nd June after dash to the Vets due to a mis presented foal and a real risk of losing both, thank god we watch all mares foal on CCTV! Thankfully as they are watched 24/7 we quickly realised something wasn't quite right so a quick visit from the Vet saw us racing off at 2am to the surgery to knock Heidie out to untangle the foal and save who ever was possible in the circumstances! My heart felt thanks once again go to one of the best Equine Veterinary practices in the North of England (or indeed the country!) Rufford Veterinary Group. Once again the great Seamus Miller worked him magic and miraculously saved both the mare and the foal! Sat waiting for the phone call after they came out of surgery was probably some of the longest hours of my life! But thankful to say both are doing well, foal had a little blip a few days later but seems to be thriving now and turning into a rather cheeky lad and quite a lump of a lad too ! 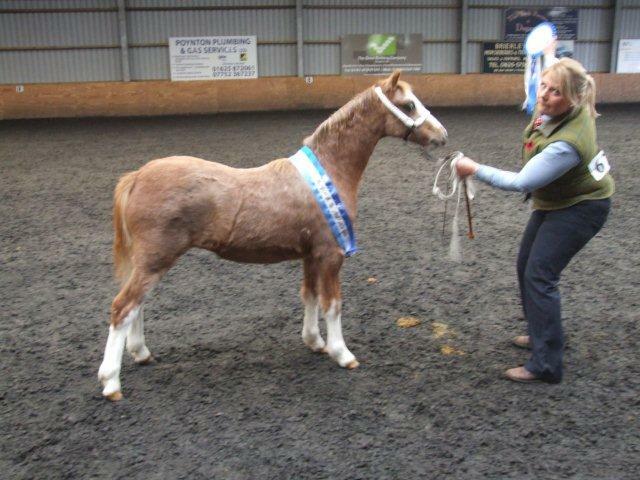 Runshaw Ffantasi has given us a most beautiful chestnut filly by Churtoncroft Aries!! To say we can see lots of her older sister Runshaw Heulwen in her is a very exciting prospect! 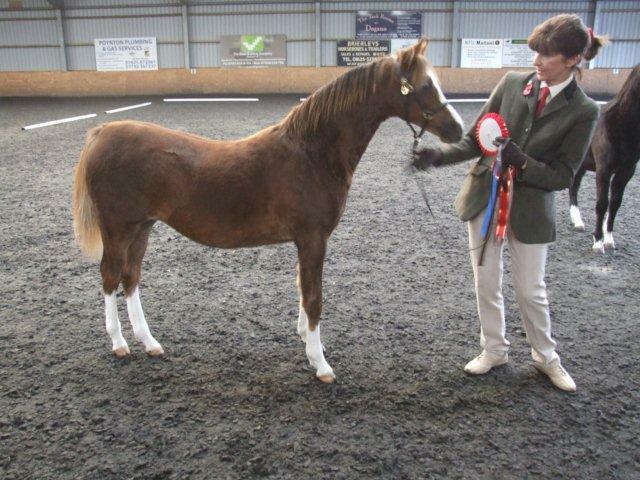 Standwell Black Fashion has presented us with a very special bay colt by Churtoncroft Aries!! 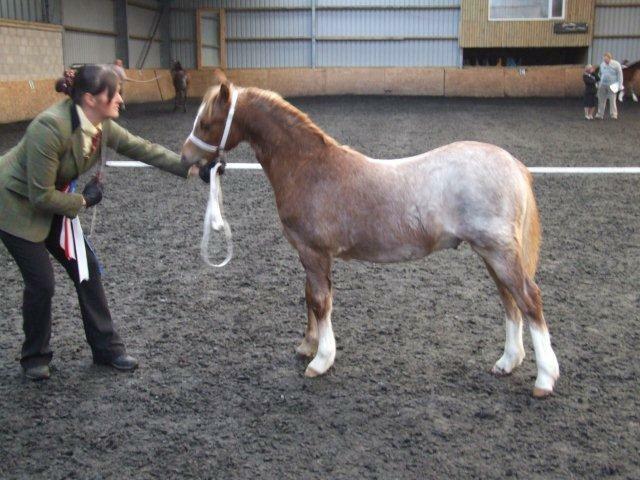 We are extremely pleased with him, we think this one is going to be a little bit special ! 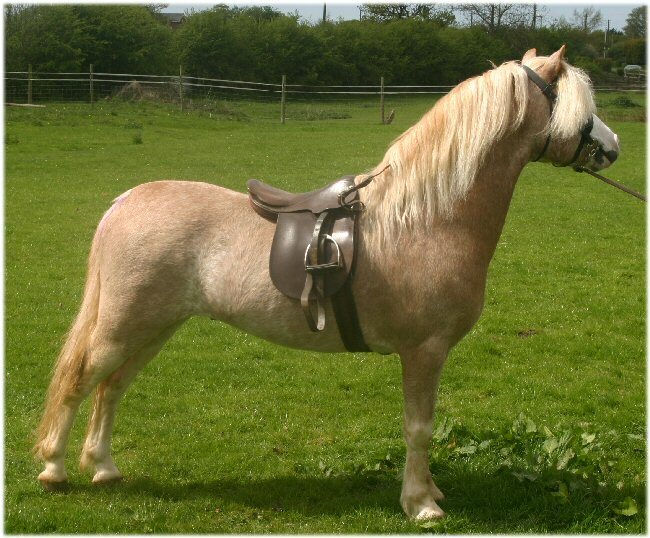 'Harry' is now slowly being brought back into work so as to further his ridden career. 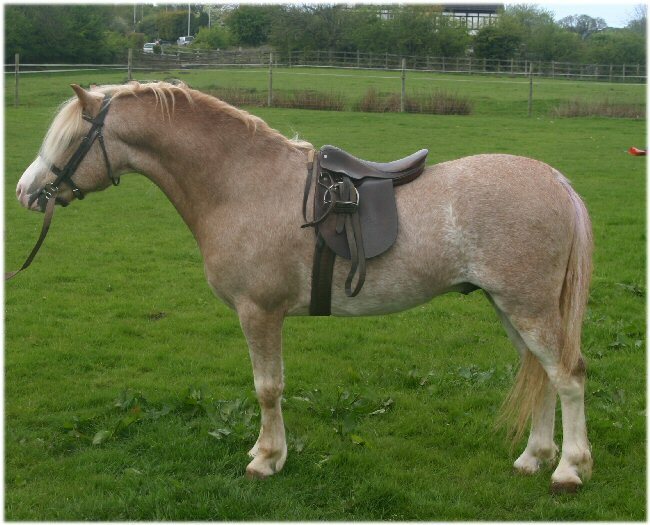 He is such an impressive pony and sadly these pictures don't quite catch his charisma but we feel sure he'll make quite an impact in the show ring either under saddle or in hand or both and a fabulous show/stud home is sought for him so as to further his career. 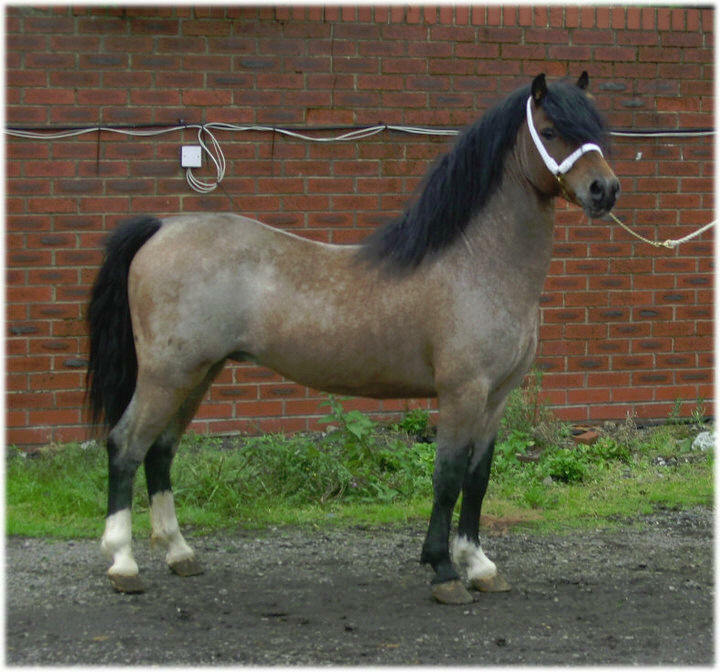 This special pony deserves a special competetive home. 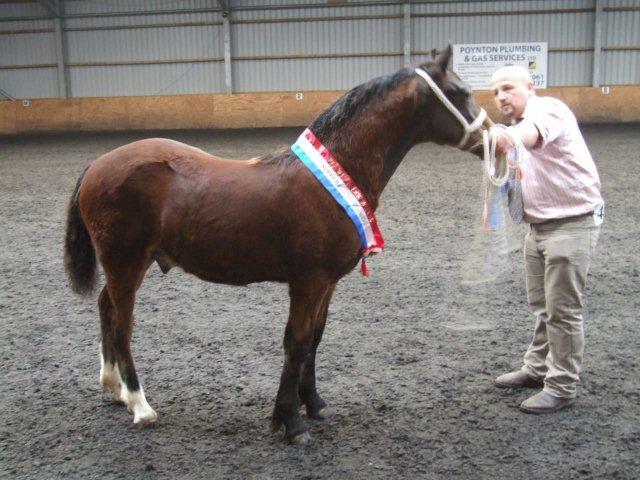 He is superb to bath, clip, farrier, load, trael, stables away from home happily. 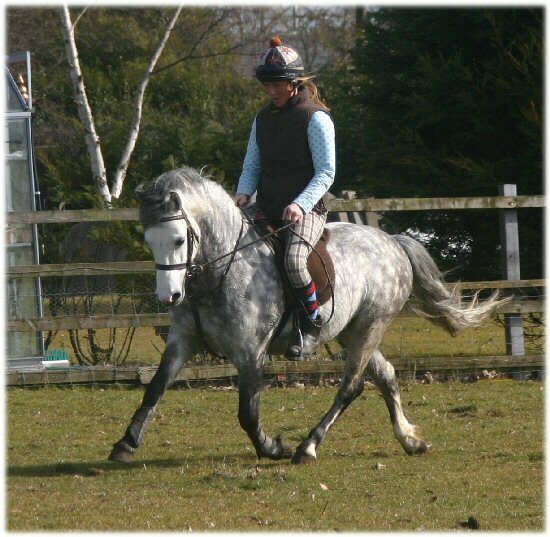 He really is a genuine 'Superstar' and is looking for an equally superstar new home. 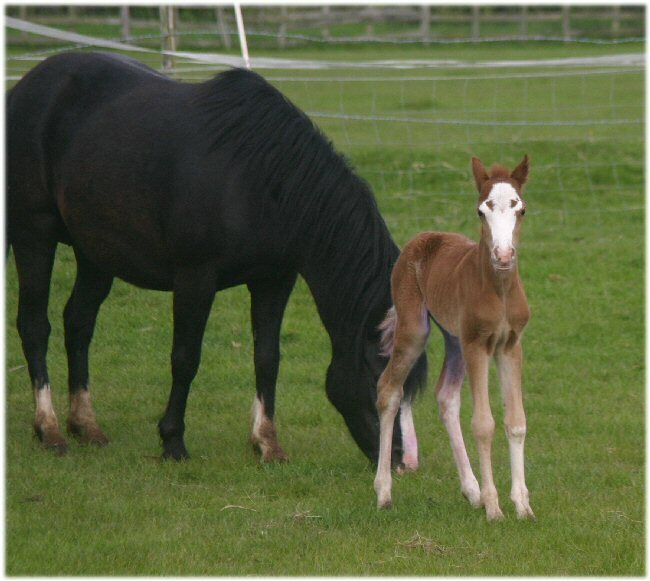 Finally after 3 weeks of waiting out first foal of 2010 has arrived and she was well worth the wait. 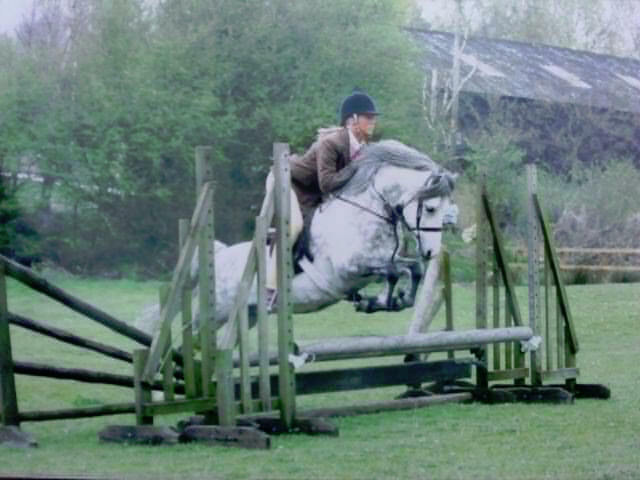 Has been out and about having a play over some jumps and proving to have a real talent for the workers! Well the Daffodils and Snowdrops are well and truly up and the grass is starting to grow. 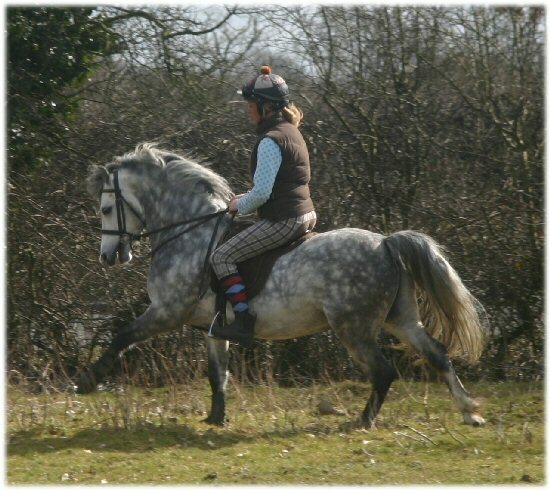 We've had some beautiful weather and the ponies are positively blossoming. 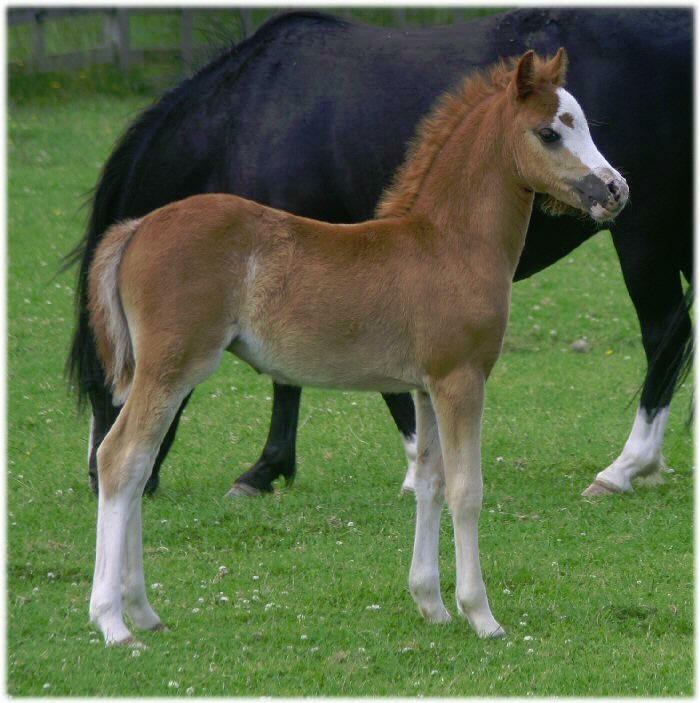 The first foals of 2010 aren't too far away and the first in line 'Lacy Ruth' due on the 4th of April is starting to bag up nicely! 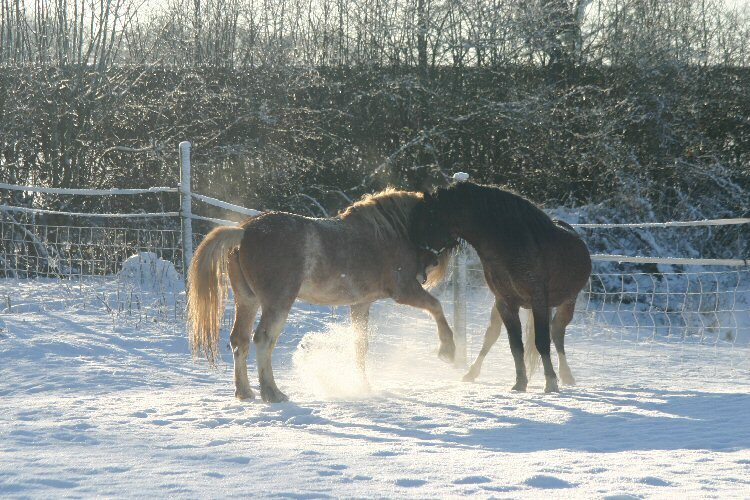 Its looking like we may have 5 or maybe 6 foals this year so very exciting! 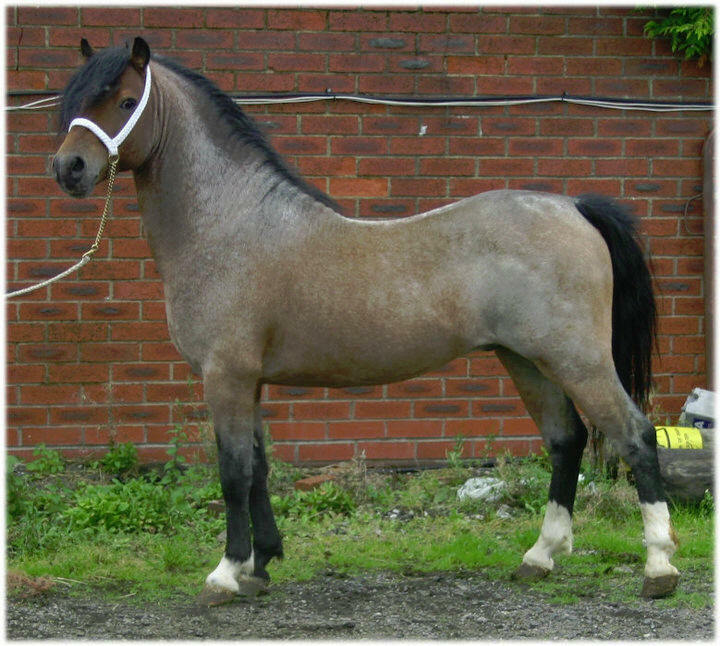 These are all Churtoncroft Aries foals, some of which may be for sale. 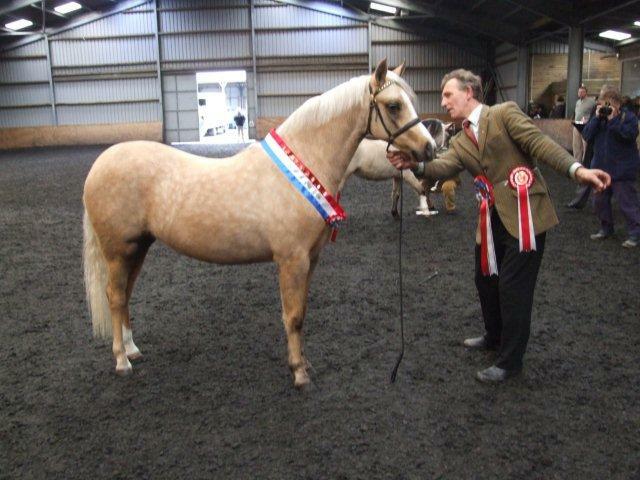 This year is also likely to see a slight change of 'career' for some ponies for the 2010 show season. 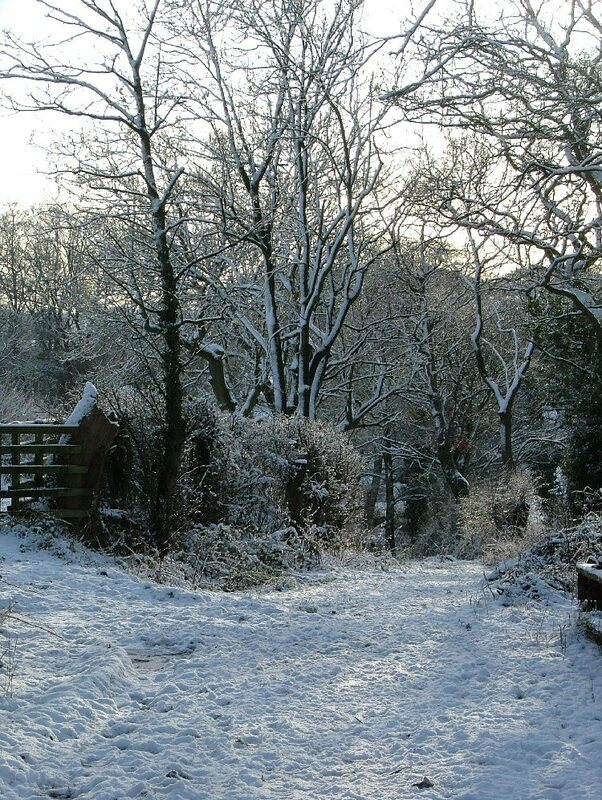 It seems to have soon come around again but once again we would like to wish all our family, friends and visitors a fabulous 2010! 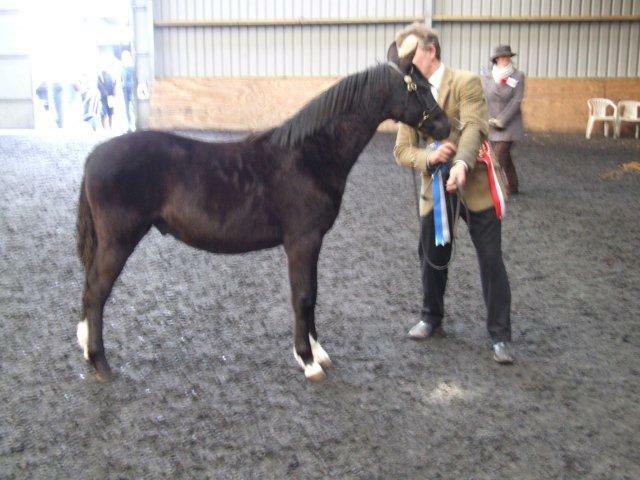 Heres hoping we get wonderful foals that we hope and wish for and much success both in and out of the show ring for the duration of 2010!